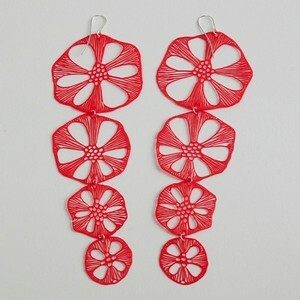 Modern jewellery by Sascha Koneva Berlin – the artist is convinced that the objects with which one can decorate oneself can be made of all imaginable materials: Paper, textile and rubber bands, plastic, glass or high-tech materials from the field of optics and electronics. Anyone who knows the jewellery gallery Auguste Froschhammer knows that we always like to present jewellery made of various materials. Therefore we are looking forward to showing you a selection of Sascha Koneva’s jewellery in time for Berlin Art Week 2018. In Auguststraße 85 – open Tuesdays to Saturdays from 12 to 19 o’clock. 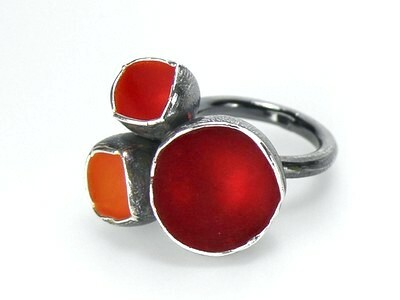 Enamel jewellery by Nora Kovats – Nora enjoys enamelling as jewellery making technique, both due to its vibrancy and the element of chance and uniqueness dictated by the firing process. New at our gallery at Auguststraße 85 in 10117 Berlin. 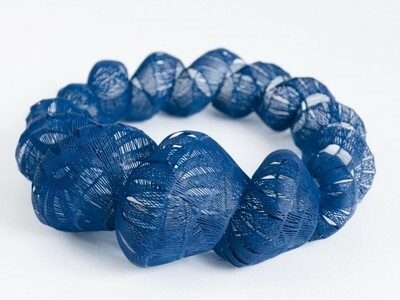 Congratulations to Alena Willroth – the MAD in New York has recently bought her wonderful necklace “Blue Foraminifer” for its permanent exhibition! 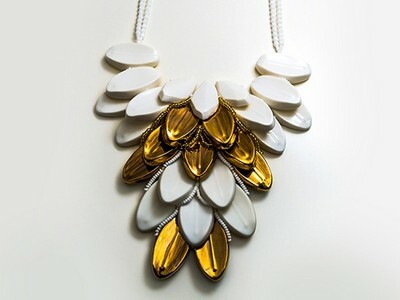 Beautiful new necklaces made of porcelain – by Mia Kwon – now available at Auguste Froschhammer in Berlin-Mitte. Learn more about Mia Kwon and her impressing artwork here and of course at our gallery: Auguststraße 85! 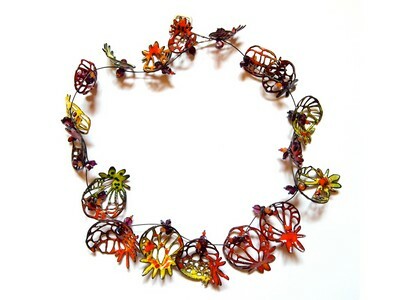 Beautiful summer colours: the variegated pieces of jewellery by Sabine Müller are available now at Auguste Froschhammer gallery. A bit more about Sabine Müller and her work you will find here and of course at Auguststraße 85 in Berlin-Mitte! More jewellery out of resin: these beautiful objects by Geschmeide unter Teck took us immediately and are shown at our gallery since the middle of this month. More about the work of “Geschmeide unter Teck” – the label of the designer Isabell Kiefhaber you will find here and of course every Tuesday up to Saturday from 12 to 7 p.m. in Auguststraße 85 in Berlin-Mitte. 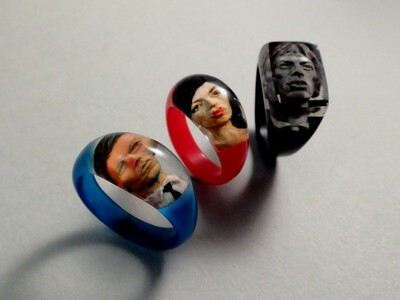 New at our gallery: handmade rings made out of resin with portraits of the world of Arts’ great figures of ancient or modern times. More about the work of Olivier Hondelatte you will find here and of course at our gallery Auguste Froschhammer in Berlin-Mitte! 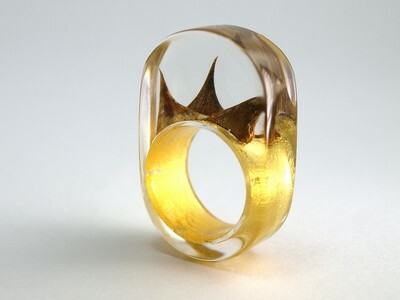 We are pleased to present you new pieces of the jewellery collection “Foldable” and “Cities & Landscapes” by Nicole Schuster! More information about Nicole Schuster and her work you will find here and of course at Auguststraße 85 in Berlin-Mitte – every Tuesday to Saturday from 12 bis 19 Uhr!